Chinese entrepreneurs from all walks of life are feeling upbeat following the government's sustained efforts to lower the corporate burden. 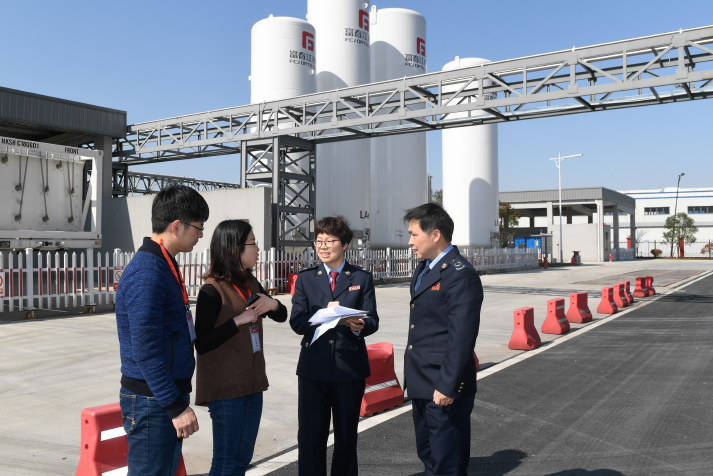 "The implementation of larger-scale tax and fee cuts help improve enterprise profits, alleviate capital pressure, and solidify our confidence in business development," said Dai Jishuang, Chairman of the Shenyang Blower Works Group Corp., at a symposium hosted by the State Taxation Administration in April. Following colossal tax and fee cuts of around 1.3 trillion yuan ($194 billion) in 2018, China will further reduce the tax burden and the social insurance contributions of enterprises by nearly 2 trillion yuan ($298 billion) in 2019. On April 1, the country started to reduce the value-added tax (VAT) rate of 16 percent for manufacturing and other industries to 13 percent. Starting from May 1, the government will also cut the share of enterprise contributions to urban workers' basic old-age insurance from 20 percent to 16 percent. The new VAT is set to save 23.11 million yuan ($3.44 million) for the Shenyang Blower Works Group Corp. in 2019, according to Dai. For China Delixi Holding Group Co. Ltd., this year's tax cuts will amount to 111 million yuan ($16.5 million). "This will enable us to invest more in scientific research and development (R&D), promoting the enterprise's competence," said Hu Chengzhong, Chairman of the Board of Directors and CEO of the company, which operates in electrical, energy, mining and other industries. "A universal tax cut will significantly ease the tax burden of companies in purchasing fixed assets like machinery equipment, resulting in more room for investment," said Bai Jingming, Vice President of the Chinese Academy of Fiscal Sciences. Bai believes the move will unleash the potential in innovation and boost the nation's high-quality development. "The nationwide tax cut policy is a guarantee of innovation-driven development," said Chen Yanshun, Chairman of the Executive Committee and CEO of BOE Technology Group Co. Ltd. The tax cut policy will help the company lower VAT expenditure by 3.7 billion yuan ($551 million) this year, according to Chen. "The BOE Technology Group will put the tax cut dividend into scientific R&D and make a greater contribution to the country's strategic emerging industries," said Chen. Increased R&D investment will boost production efficiency and profitability. After forming a virtuous circle, enterprises could contribute more to the country's tax income, according to Zhuang Dan, President of Yangtze Optical Fiber and Cable Joint Stock Co. Ltd.
ActBlue Co. Ltd., an environmentally friendly technology enterprise founded in 2009, will save over 7 million yuan ($1.04 million) in 2019 after the implementation of lower VAT rates on April 1, while reducing social insurance costs by 820,000 yuan ($122,111) when the new policy goes into effect on May 1. However, ActBlue Chairman Liu Yi wants more. "China's environmental protection industry is still in its early stages and preferential tax policies are needed for industrial development. Despite the government's existing efforts in this respect, we need more," said Liu. The major target of such tax cuts in 2019 are small and micro companies, which provide the majority of jobs, according to Bai, showing a clear pro-employment policy stance. Policymakers attach great importance to employment because it is an area that directly affects everyday life and determines the health and prospects of the economy. China's economy, the second largest in the world, expanded 6.6 percent to exceed 90 trillion yuan ($13 trillion) in 2018. The growth target for 2019 was set at 6-6.5 percent.